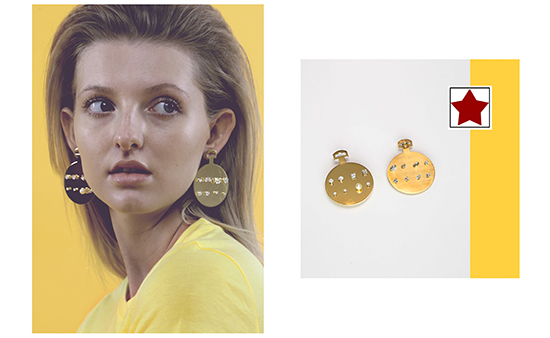 Each year we work with the student jewellery designers at Central Saint Martins in London, giving them an opportunity to experience designing with pearls for their final year work. 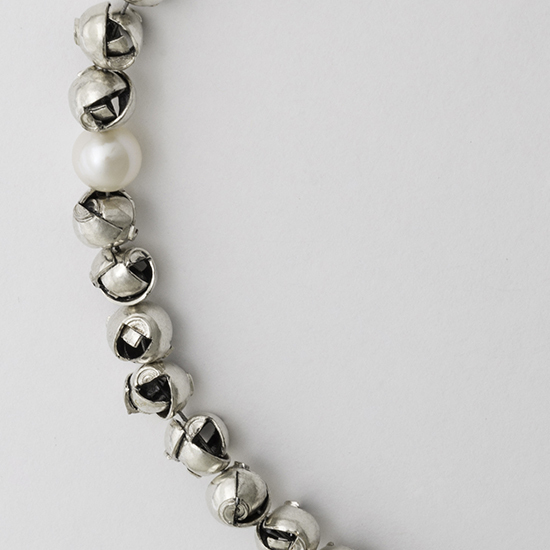 We will be awarding the Winterson Prize 2016 to one of the students for ‘The Best Use of Pearls’ at the CSM Jewellery Awards Evening on 23rd June. 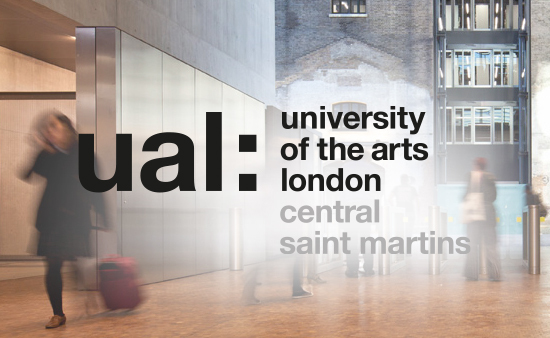 The designs are also open for viewing by the public at CSM during June 22-26th. 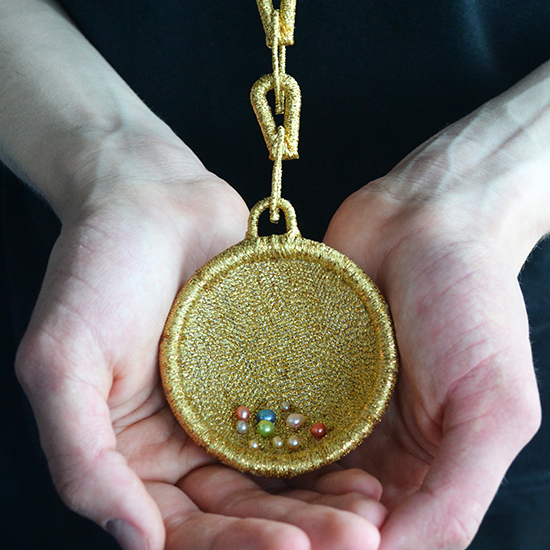 Here we feature the final part in a series of short interviews with designers from the CSM Jewellery 2016 show, including in this article - Kay Zhixin Guo, Stacey Huang, Stephanie Chase and Tia Liang. Read about the Winner here and the other designers in Part I and Part II of this series. A Buddhist, enjoy helping people. Like simple things. Interested in how people go through difficulties in their lives, where they put their bodies and how they cope inside of it. My first time of experiencing break-up and depression and the doctrine of impermanence. Fragile and easy to be manipulated at the same time. Can be drilled, cut and carved in specific ways. Good to combine them with different types of material or just use them straight which fits in various designs. People who admire minimal aesthetic, matured people, both men and women. 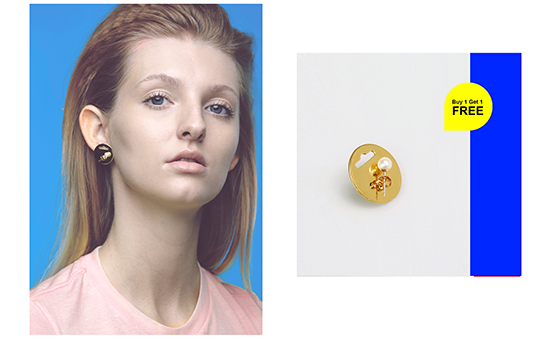 Simply, with a highlight on special details that communicates with the viewers and wearers easily. Good craftsmenship. 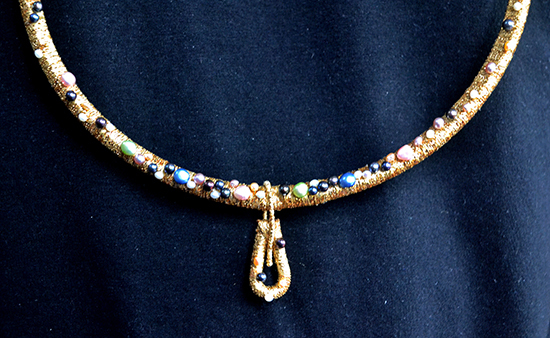 I’m an observer of daily life and have a full passion for jewellery design. My inspiration is from Tesco, to tell viewers my point of view about the promotions in supermarket by using cheap packaging as the main visual language. The colour and the luster of pearls are attractive for me, and the contrast between metal and pearl is attractive as well. I’ll work for a company and prepare my own studio in the following 5 years. 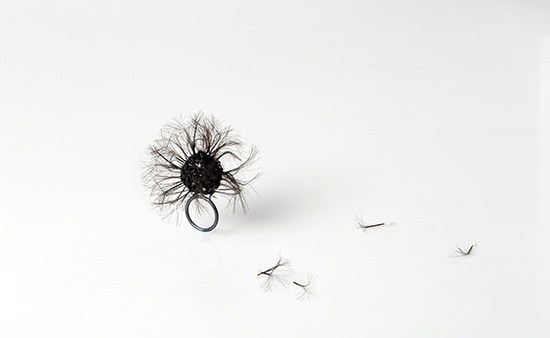 Delicate appearance with strong concept and high aesthetics. View more of Stacey's work here. Well this is going to be tough haha, Okay, I am a 21 year old student that is sadly coming to the end of my studies. Out of uni I display a keen interest in music as I enjoy playing piano (that’s when I get the chance!). I also have a strong interest in photography. After losing my Nan I began to form a sentimental relationship with my grandmother’s objects. By studying Alice Anderson Memory Objects Memory Movement exhibition I continued to embrace this idea of preserving “mummifying” an object therefore encouraging its sentimental value. The memory of baking with my Nan was my next step. On choosing the sieve, I wanted to preserve the memories shared with her by creating my own wrapping technique. The use of pearls in my pieces symbolise the sugary cake decorations i.e. hundreds and thousands, rainbow circus mix and chocolate silver pearls. This initiates a playful side to the emotional feelings already displayed. Working with the pearls has been wonderful, I have enjoyed using all the different colour variations that has helped me create the idea of sweets. Alice Anderson is my biggest inspiration, however I did research many artists in my previous uni that helped me to come to the conclusion of my collection. Jo Pond’s ideas behind her jewellery piece & Caroline Broadhead and Maria Militsi’s Second hand First hand exhibtion also inspired me. To be honest I’m not entirely sure, I would like to use the funds I raise in my degree show to build my own workshop to use at home. I have others interests as well so I might use some of the funds to build a small photography set along my own workshop after finishing uni. I don’t want to characterise a particular individual as that’s not my aim in this collection. My pieces display a precious effect that immediately catches the eye, I want individuals to question the meticulous wrapping method and choice of object as my pieces are for the wearers to embrace the story behind it. 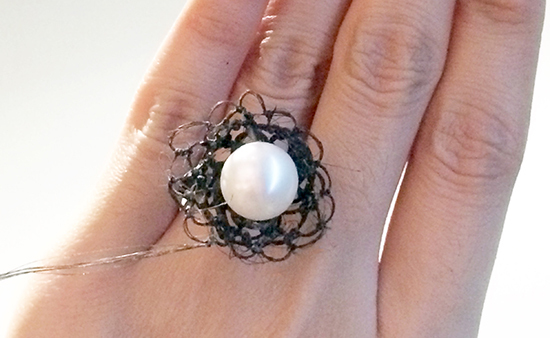 The simplicity of the pieces; from only using a wrapping technique combined with the pearls gives it elegance. I have used simple combination of materials to emphasise a story that is so dear to me. An active and engaged student who has an individual way of observation. Shame is a fact of human life. throughout the researching of history, a couple of pictures about Chinese first lady Wang Guang Mei have been attracted my attention, as the first visited foreign country First Lady of the new China, she wore a long pearl necklace as national pride. But just one year after, because of the Cultural revolution, she suffered public humiliation and wore a heavy-looking fake pearl necklace, forcing her body to be banned in order to show her guilt. Thus highlighted the relation between shame and pride again, also explained shame as a common topic, whatever their wealth or status. 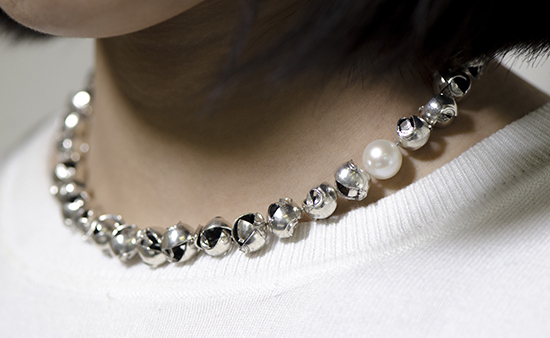 The sphere structure of pearls is the main discovery of my visual aim. I would tidy up my mind again, then continue with master courses. Anyone who has incomplete reduction of interest or joy, spend much of their life blushing.